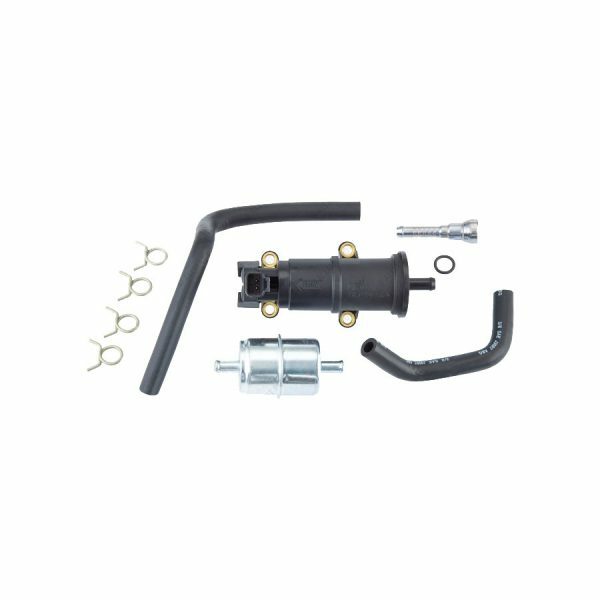 Fuel Transfer Pump Kit fits 2003-2004 Cummins ISB engine equipped with Common Rail Fuel Injection. This is virtually the same pump as the former Cummins part number, plus installation hoses and hardware, and an inline fuel filter. Hoses included with this kit eliminate the need to purchase a separate 3969705 hose when a pump with a non-removable inlet hose is replaced. Replaces Mopar/Dodge part number 05093135AB and Cummins part numbers 4089602 & 3969705 (Hose) which are no longer available.